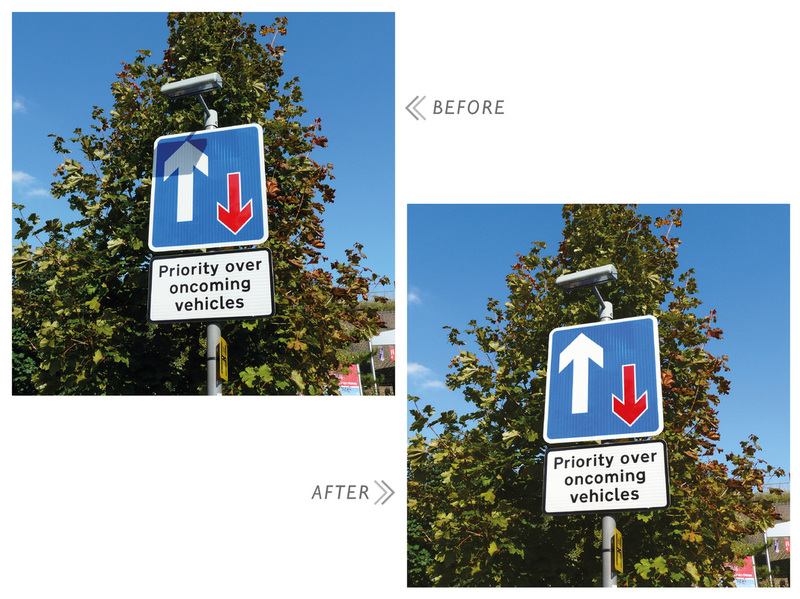 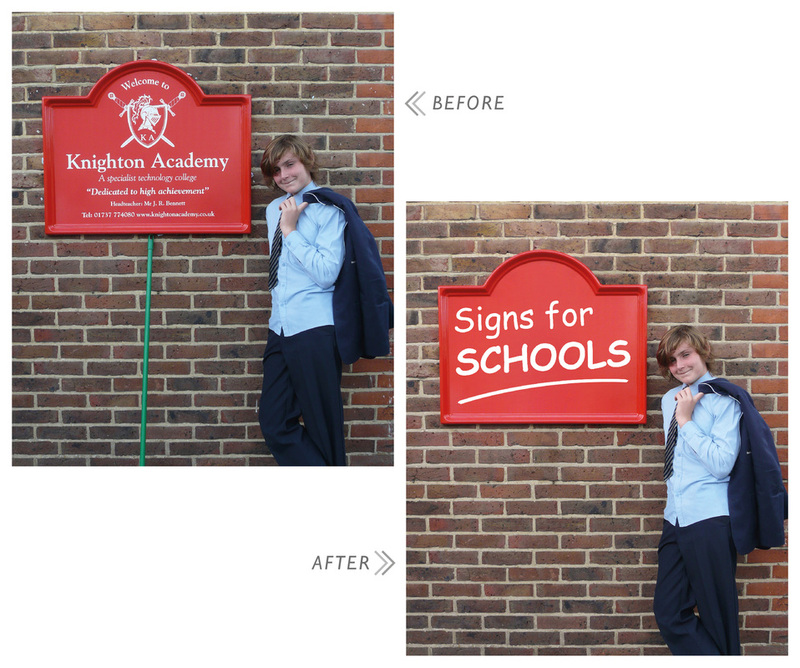 Cover image for Signs for Schools catalogue - I removed the prop and changed the sign content. Exhibition stand backdrop for a Rail show - I blended elements of separate photos into one large image. 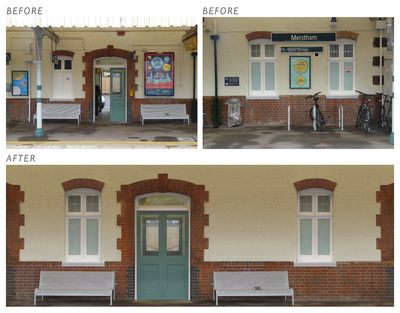 Removed various items on the walls and from the foreground and tidied up the overall appearance. 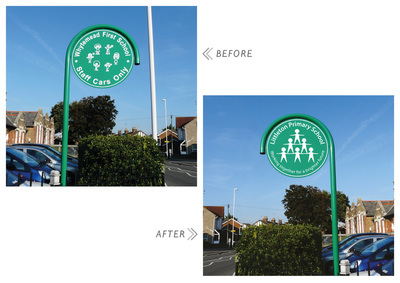 Please take a look at my Exhibitions section for photos of the finished stand design. 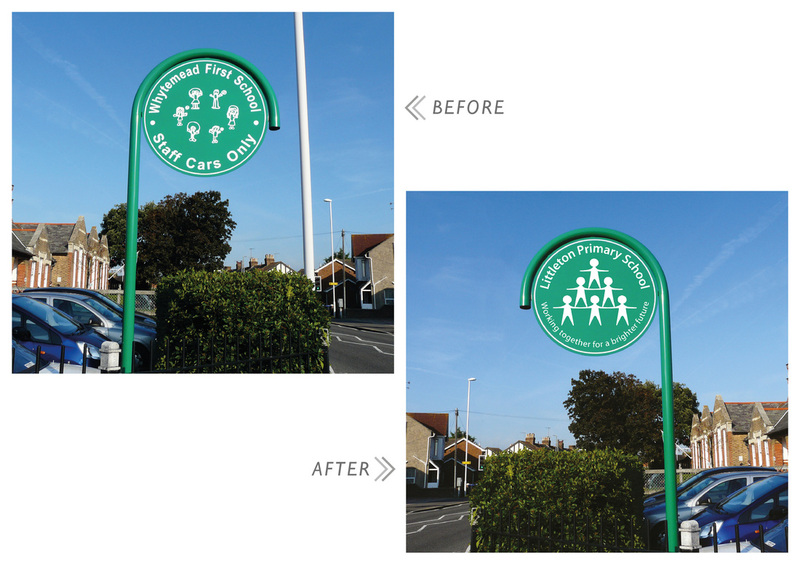 A 'Hoop' school sign - I reflected the image, removed the lamppost and changed the school name and logo. 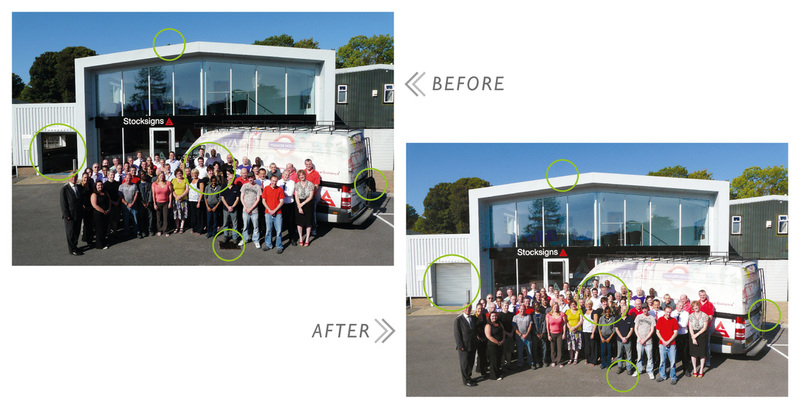 Company photo - I added three people, removed the drain, the jacket on the back of the van and closed the shutter door on the building. 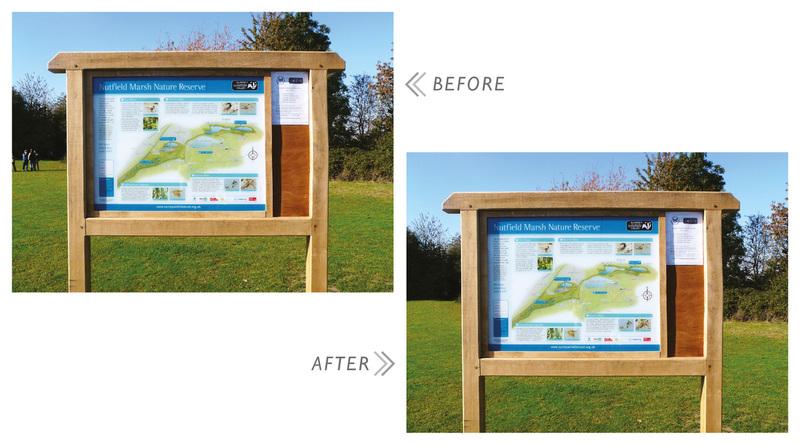 Nature reserve sign - I removed the group of people in the background. Road sign - I removed the shadow on the sign. 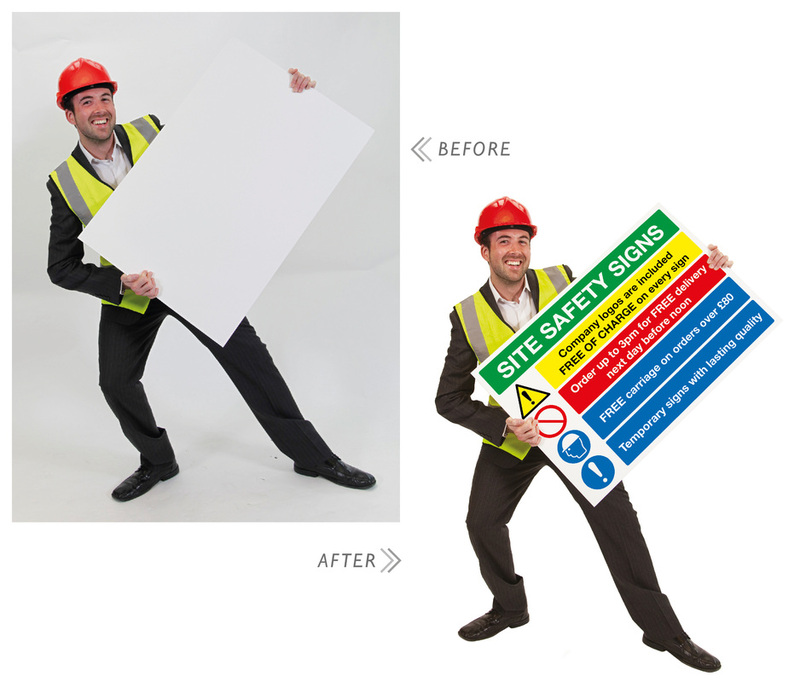 Site Safety Man - I rotated the image to the right, erased the background and added text to the sign. 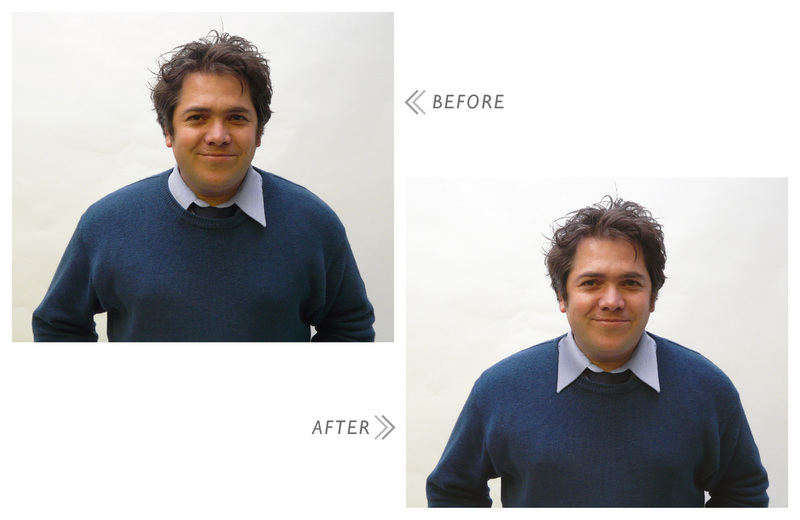 Portrait - I reflected the collar to make a smarter appearance.